A few months ago I picked up a planner from Target and using it has rekindled my love for stickers. I was a self-proclaimed sticker hoarder back in grade school and I needed to have all the cute ones. Apparently not much has changed since then. 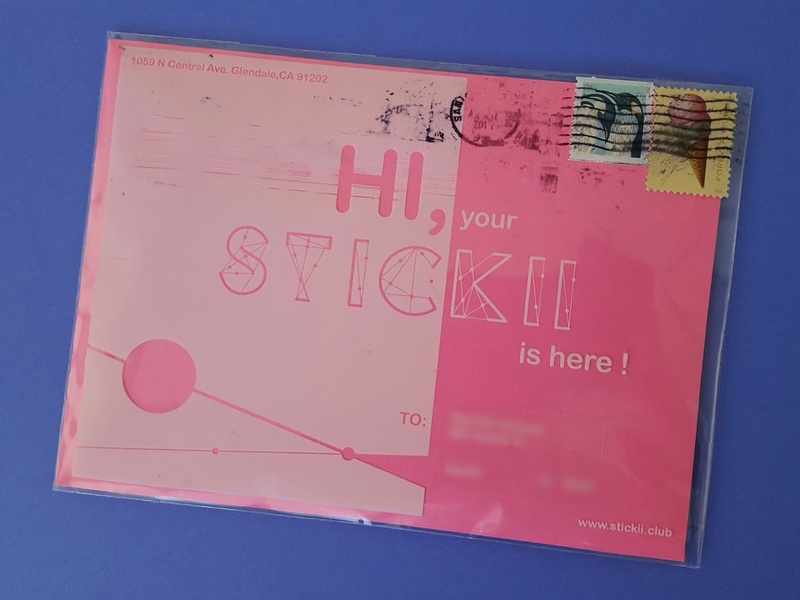 I could not ignore Stickii Club when I stumbled across a photo of their July puppy-themed sticker pack. I love puppies. I have two corgis who mean the world to me (I wish were still puppies but eh, their adult selves will do). When I saw that there were corgi stickers in the July pack I was all over Stickii's website like flies on honey. Then I saw how cute their previous months' offerings were and could not pass up picking up my own subscription (sorry, wallet). August's theme was "Edible." As in all things delicious. Cute food? I'm in! Frozen treats, sweets, and...eggs. Gudetama to be exact. He's a cute guy, but those desserts though! How can you not want a cupcake after looking at that selection?!! The popsicles are glossy puffy stickers and were entirely effective at making my mouth water on this hot summer day. 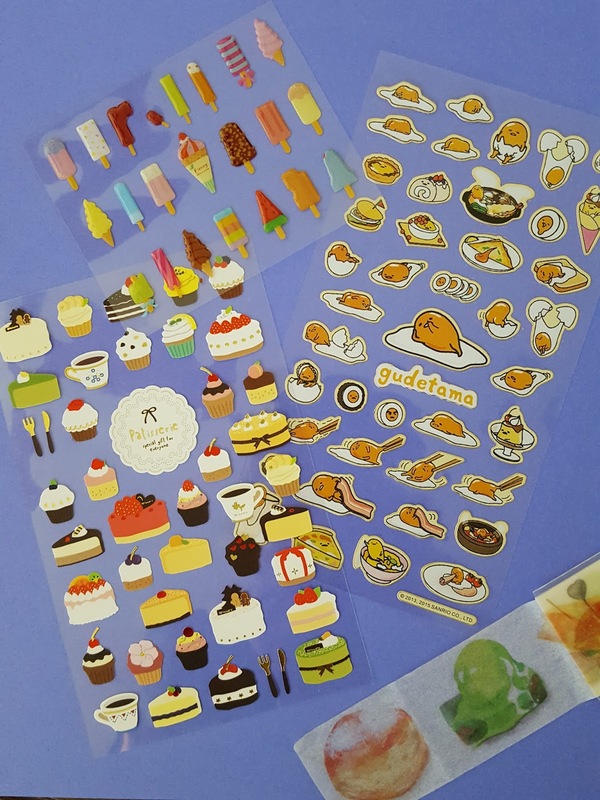 There was also some wide washi tape with what I think are desserts on it but I'm not totally sure. STICKERS WITH FACES you guys. The Gudetama stickers above also had faces but I think these are way cuter. 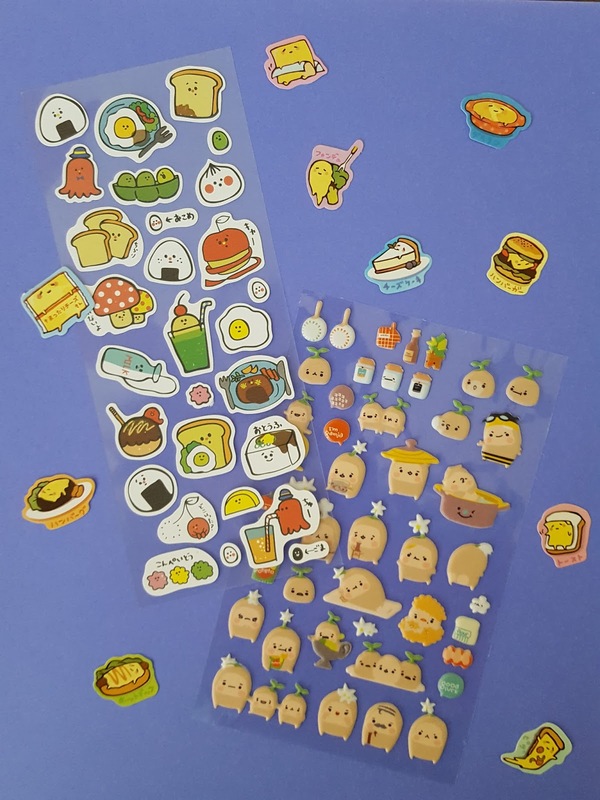 The sheet on the right has puffy potato stickers on them. A whole sheet dedicated to potatoes! Well I guess if you can make one all about an egg yolk then you can make one about potatoes. 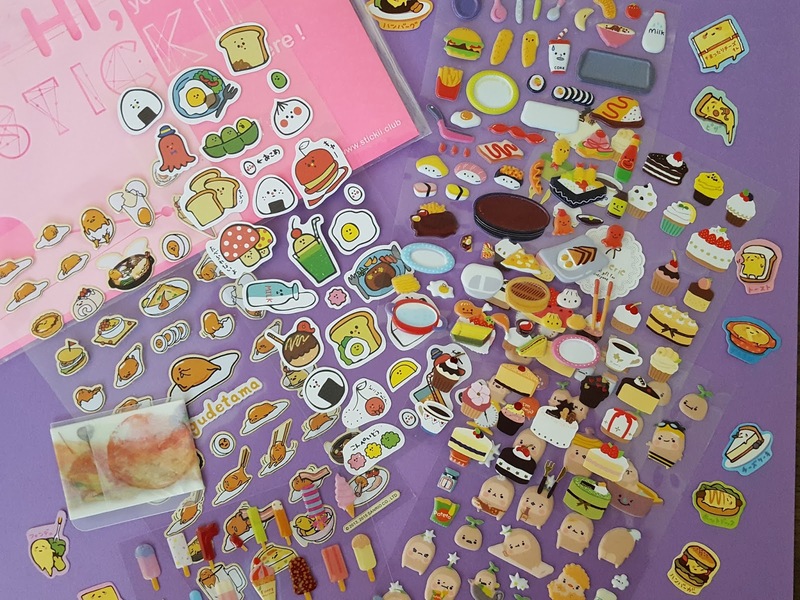 I honestly don't have enough food-related items in my planner to use all of these (though I wish I did! ), but maybe I'll stick them in random places in my house. Like the dog food container. Or the microwave. Or my husband's lunch bag. I saved my favorite sticker sheet for last. 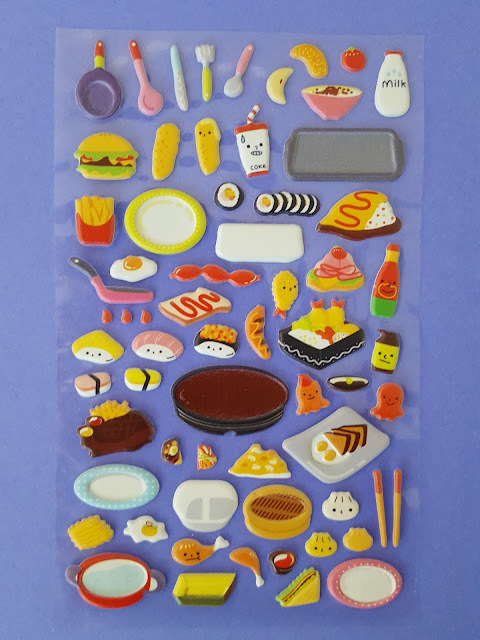 These are puffy stickers with a variety of food on it. Mostly Japanese food. The first thing that caught my eye on here was the tempura with a face. Because faces. And because I looove tempura. Then I saw the sushi with faces. Then the dim sum, and ahhhhh I love these stickers!!! I absolutely LOVED my first month of Stickii. Stickers are not cheap - especially puffy stickers, and this package had three sheets of them! Not to mention this subscription included mostly full sized sheets. I definitely think it's worth the $10 and if this is any indication of what I can expect in the Cute pack, I'm totally going to hold on to this sub for a while. If you're a sticker or lover or just like to collect cute things, you can sign up for Stickii Club here. There are three sticker pack genres to choose from - Cute, Retro, and Pop - though all have some serious cuteness factor. And if you like what you saw in a previous month, you can pick up past sticker packs in their shop for $12.99 each. I'm soooo tempted to pick up the puppy one! Oh, man, this looks great!! I love the puffy potatoes!! Haha! I better check them out. They are pretty cute, though it took me 10 minutes to figure out what they were. "Chicken? Nah, there's no wings. Tempura? No lumpy batter. Squash???"